Mini breeds refer to dogs who weigh between 1 - 10 kgs. 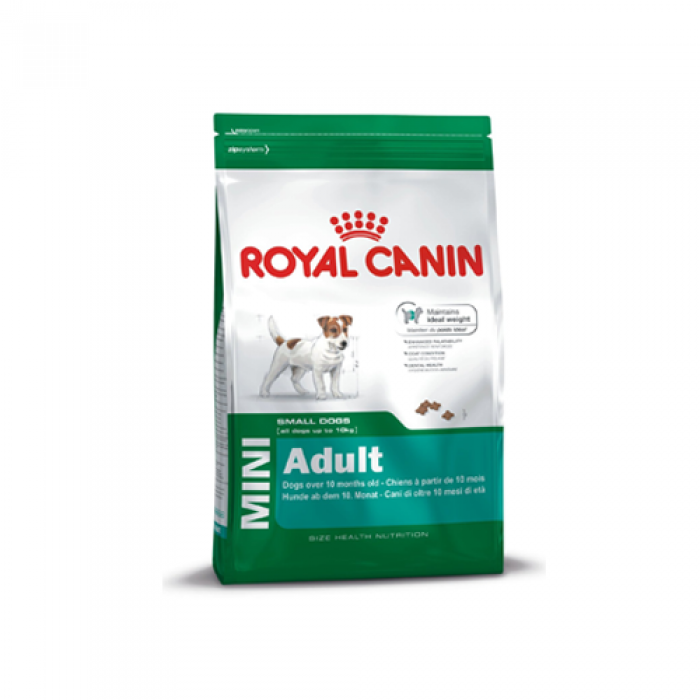 Royal Canin Mini Adult has been specially formulated to provide optimum nutrition to these small energetic dogs. Mini breeds are high energetic but have a tendency to gain weight ?which slows down their metabolism levels. Royal Canin Mini is a kibble form of food which is packed with natural ingredients, vitamins, minerals and nutrients to meet the high energy demans of these dogs while helping them maintaing their weight by ?promoting fat mtabolism; The kibble has been modified to make it easy for the dogs to pick chew and digest. It not only supports the musco skeletal structure of the dogs but promotes healthy digestive system and overall health. The presence of Omega 3 fatty acides help maintain soft and shiny fur.